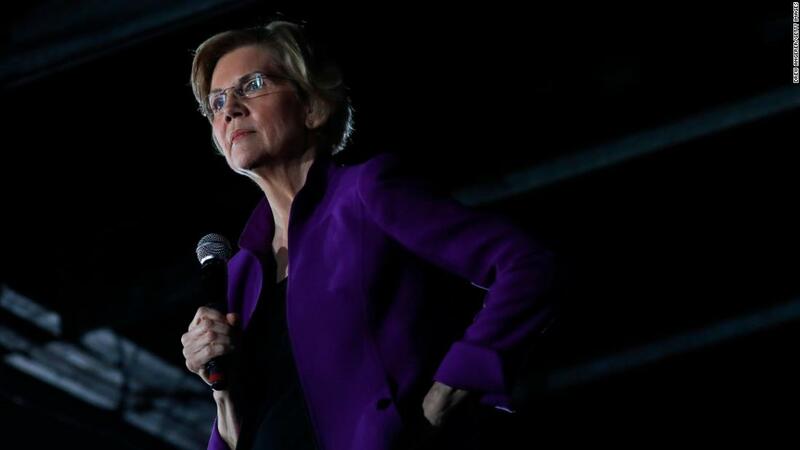 Home People Entertainers Why is Elizabeth Warren struggling? Democrats aren’t looking for policy. (CNN) First things first: The theme song of the week is from the television show The Price Is Right. Among those same voters, 23% think Bernie Sanders has the best policy ideas, while 13% think Biden and Warren have the best policy ideas. What’s the point: Sanders (with his “Medicare for All” push) and Warren with her numerous policy papers are putting policy at the forefront of their campaigns. Yet they both continue to trail Biden, despite near universal name recognition. Warren even trails behind Biden and Sanders in her own state. The problem for Warren and Sanders is that voters don’t seem to be voting on policy. If they were, Warren and Sanders would probably be in a better position, and Biden would probably be in a worse position, as the Quinnipiac poll indicates. Voters instead are prizing other qualities, such as leadership. The Quinnipiac poll shows that by a 51% to 38% margin, Democrats and Democratic leaning independents prefer someone they think would be a “great leader” than someone who has “great policy ideas”. It’s hard to quantify what would make a candidate a great leader, but voters still are making their judgments. When asked who they thought would make the “best leader,” Biden leads in the California poll with 31%. He was followed by Sanders at 18%, Harris at 13% and Warren at 7%. In other words, the topline numbers for preferences in the primary look more like who voters think would make the best leader than who they prefer on policy. Another quality voters are looking to this year is electability. Exactly how much they are looking for it depends on the question wording, though Democratic voters are clearly prizing it a lot more than in years past. There may be a case to be made against Warren’s electability, but this is another variable that’s hard to quantify. Still, voters are making their own call of who they see as electable. An Iowa poll out this week from Monmouth University gets at the heart of the issue pretty clearly. Likely Democratic caucusgoers were asked whether they prefer a candidate who aligned with them on the issues but could have a tough time beating President Donald Trump or a candidate who didn’t agree with them on most issues but had a better shot at beating Trump. By a 64% to 24% margin, they wanted the candidate who had a better chance of beating Trump. Electability plays right into Biden’s hands. Among likely caucusgoers, he leads Sanders 27% to 16% overall. Warren is well back in fourth at 7%. Biden’s lead is because of voters who prize electability over issue alignment. Among those voters, he is up 33% to 13% over Sanders. Now look at the horserace: Among those who favor issue agreement over electability, Biden falls back to 15%. He actually trails Sanders, who leads with 19%. The lesson here is pretty clear: The way to beat Biden in the Democratic primary season isn’t to show he is out-of-step with the electorate on issues. If that were the way forward, Biden would probably already be losing. Rather, the way you beat Biden if you’re a Democratic candidate for president is by, among other things, proving that he isn’t a good leader and can’t beat Trump. If other Democratic candidates are unable to do this, then Biden will likely be the Democratic nominee.